Home » Blog » Give us a lift: Help us replace our truck! Give us a lift: Help us replace our truck! 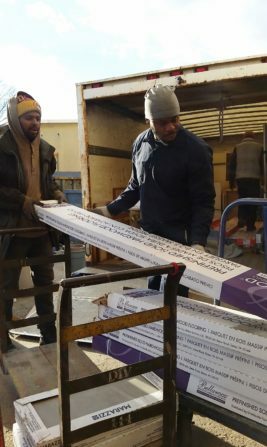 Donated building materials are the cornerstone of Community Forklift: We couldn’t exist without them. Although folks arrive at the warehouse daily to drop off building materials, about half of our donations are brought in by our truck crews. We operate two large trucks, which are on the road five days a week picking up reusable items around the region. These are items that would otherwise end up in the landfill, because they are too big or bulky for the donors to deliver themselves. It’s a community service we are proud to offer, but about a month ago, one of our trucks died. 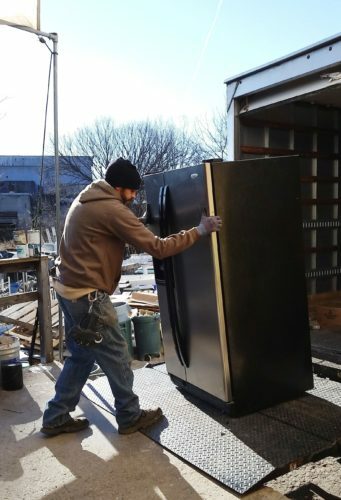 Gilbert unloads a donated appliance from one of our trucks. 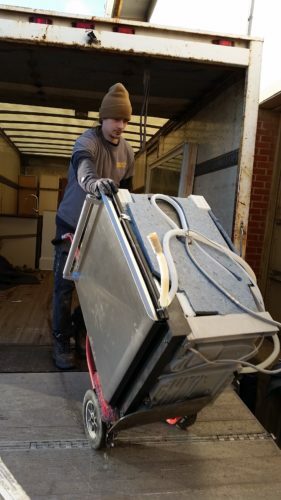 A portion of the donations brought in by our trucks go to our Home Essentials program, which provides materials and appliances to neighbors in need. For example, this summer we supplied window air conditioners and a stove to a local resident dealing with chronic illness. She was unable to manage the overwhelming summer heat until Forklift stepped in. As far as we know, there is no other program in the region that provides this kind of service. Our trucks are essential to our operation, and the donations they transport help keep our community giving programs running smoothly. Thanks to generous folks around the DC region, we always have a steady stream of donation offers. Our biggest challenge is keeping up! Unfortunately, about a month ago, the engine in one of our trucks went bad. 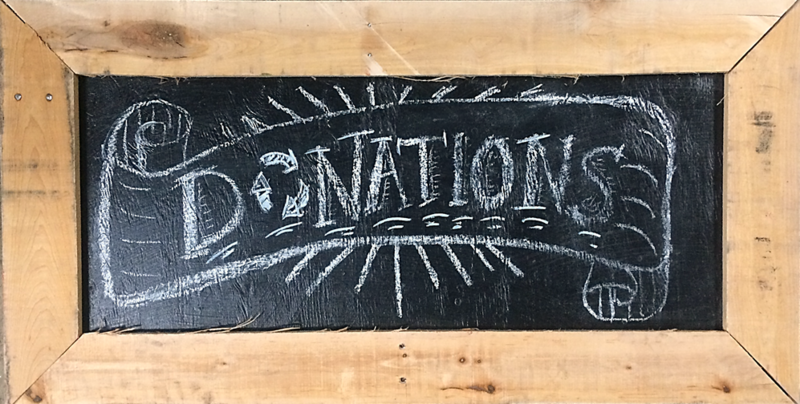 We try to work quickly so great items don’t go to waste, but picking up donations is one of our biggest expenses. And with a dead truck, it’s only gotten more expensive. We were able to sell the body of our old truck to recoup about $4,000, but a decent used box truck is going to cost us approximately $30,000. In the meantime, we have to use a very expensive leased truck until we can raise enough money to replace it! Please help us stay on the road by making a donation. Each financial gift, large or small, helps us fulfill our mission to lift up communities through reuse.